The Oromo tribe comprise some 40% of the population of Ethiopia but have never enjoyed the same administrative power as the Amhara or Tigray tribes. This could explain why Oromo music is not as ubiquitous in pop culture in Addis. It’s very difficult to find live Oromo music in the city, while most of the songs pressed up onto vinyl in the 60s and 70s were based around Amhara music. 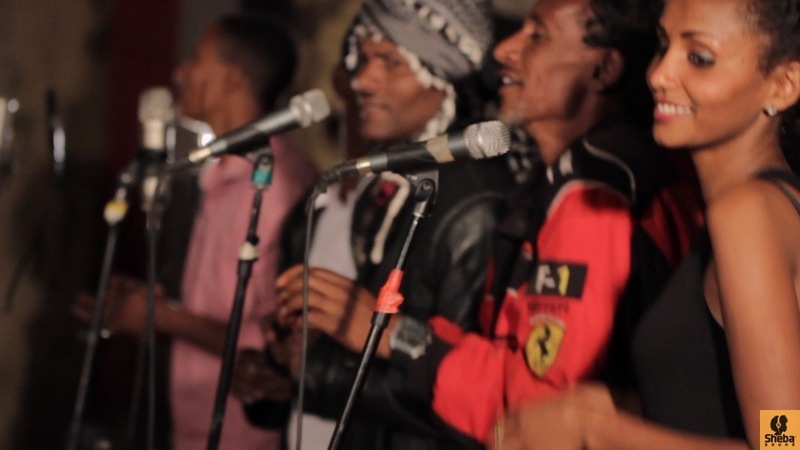 When we arrived in Jimma in western Ethiopia (one of many scattered Oromo areas) we were really excited to explore what local musicians had to offer. What we were hearing in Jimma was in fact from the Jimma Oromo, who form part of the Macha tribe, formerly known as the five Gibe states. 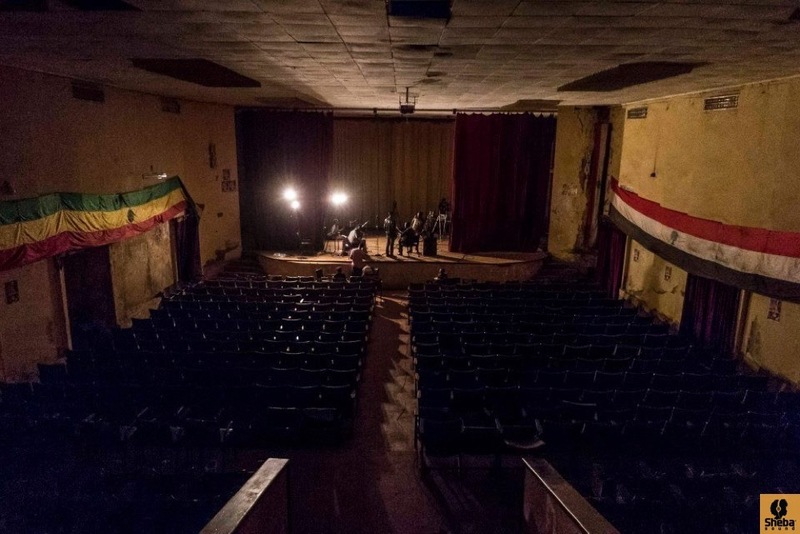 We were lucky enough to secure our recording session in an old theatre in Jimma town which is now infrequently used as a cinema. The wooden stage made for a pretty decent acoustic space once the curtains had been partly drawn. During our session we recorded what amounted to two different groups, the Shenen Gibe Band and the Hagerigna Band. We then did a brief interview with Hudade Abba Fitta, Director of the Jimma Culture and Tourism Office. On this page you’ll also find a clip of a dub of one of the songs we recorded being mixed by Nick Manasseh. 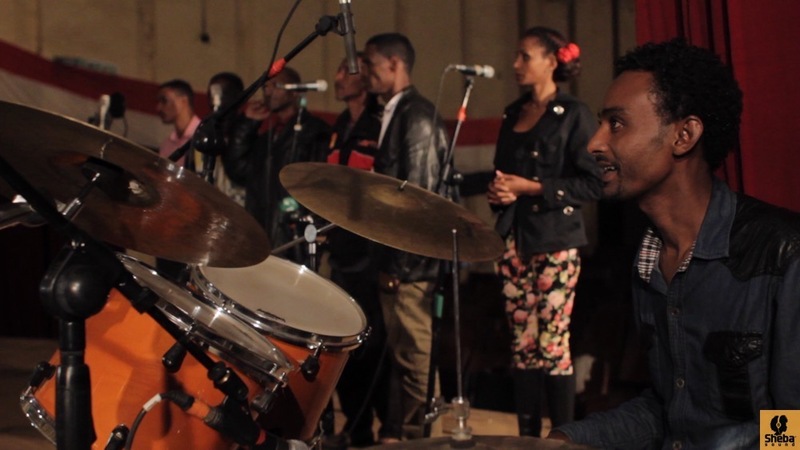 The Jimma Oromo cultural group often practice in the cinema, and have access to electric keyboards, bass, guitar and western drum kit. 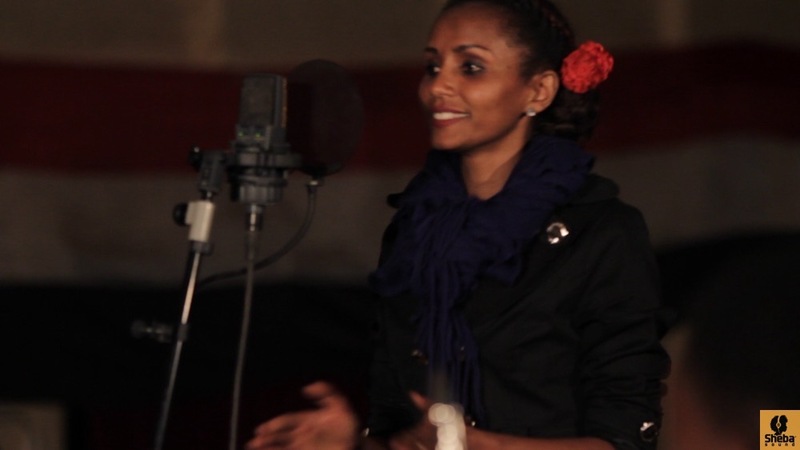 They were keen to do their recording in this format, so we thought – what the heck – electric Jimma Oromo music here we come. The morning recordings were based around this rock/electric set-up, featuring the Shenen Gibe Band. In the afternoon, we decided to keep the recording space, and invited the musicians to approach the recording session from a different angle. 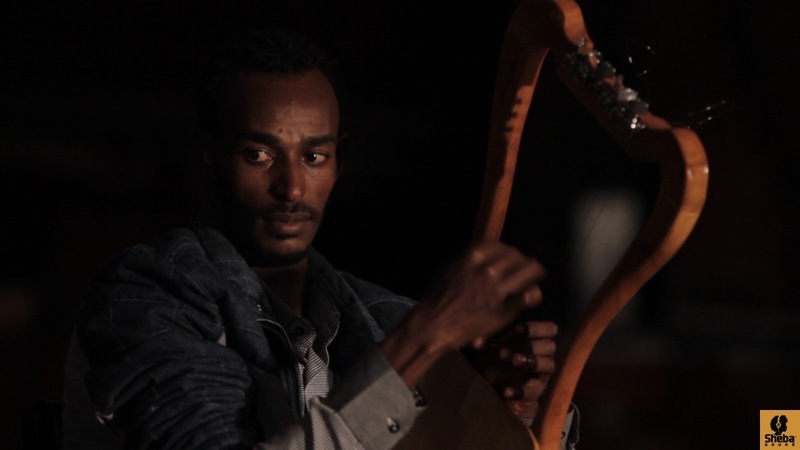 We were interested in hearing what kind of songs and sounds they would come with, if they were asked to do a performance based purely around the traditional instruments played by Jimma Oromo people. Some new musicians rolled in, others stayed on from the morning. What ensued was a surprisingly huge shift from the music that we heard earlier that day. There also seemed to be a certain energy in the room, where the musicians could finally relax into their music and be totally at ease. Here are some songs from the afternoon session with the Jimma Oromo, featuring the Hagerigna Band playing their traditional cultural instruments. As a taster of our forthcoming documentary, here’s a video clip also featuring this song. The pictures are from our journey travelling west from Jimma in the rainy season of 2014. It was made in conjunction with Solysombra Recordings, and the cameraman is Israel Seone. Finally, here’s a clip of a dub of a different song from this session, being mixed live in the studio by Nick Manasseh. 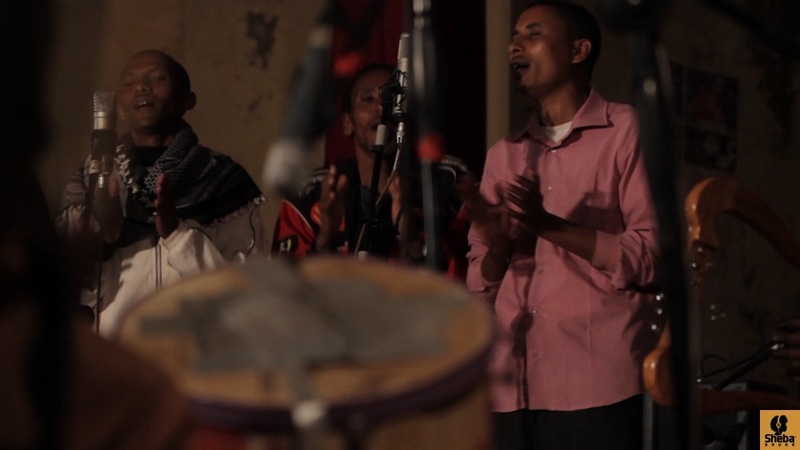 What makes Jimma music different? What is its history? Well, most of Oromo culture is similar even if there are different kinds like Harar Oromo, Shewa, Wellega and other places, Jimma music has its own character. The music, the lyrics, it has its own culture, with drums, with masinqo, with hands, different materials. Tell me about the current condition of the Jimma cultural music. Is it progressing or is it being overtaken by the modern music? Well, just like any other place the music is growing, when we look at the Jimma culture, it is progressing more focused on the contemporary music. All in all it is growing. What do people usually sing about? What is the lifestyle here? What do people do for a living? Is there any relation with the music? Music shows the lifestyle, unity of the people. When we look at Jimma music there are love songs, wedding songs, different cultural music, songs expressing works, songs expressing dissatisfaction, happiness … all this is reflected in Jimma music. Particularly the youth use music to express love. There are songs sung in the time of farming, harvest, wedding, marriage (especially when a woman gets married), there is music which is played in her house. The same with the guy. What are the cultural musical instruments in Jimma? Traditional instruments like kebero, drum, masinqo and hands. Nowadays they are using krar, guitar. Mostly it is kebero. I am done with my questions – if you have something to add? Jimma Oromo people love their culture and make an effort to develop the culture; so we need to work to strengthen and keep on doing that together.